I’ve been following the blog Brilliant Viewpoint for some time now, and always enjoy her writing. Her recent post Authentic Italian Cooking recounts her search for an elusive recipe for a cake she enjoyed years ago, and recently found. It was a lucky, happy coincidence for her. It made me think about my elusive recipe which unfortunately I still have not found. For me, the dish — that memory of a taste so impactful that it has followed me for the last 44 years — is a delectable, comforting, soy-infused bowl of savoury oats. If my memory serves me well, it had some mince meat in it, chopped spring onions, possibly soy sauce or five-spice powder, and a texture that was chewy and bouncy. I can taste the memory of it now even as I write, and remember the gentle morning sun that accompanied that early gastronomic moment of mine. I tasted that dish only once when I was five years old, then never again. The day I encountered it is imprinted firmly in my memory. (Funny, the things one remembers.) I was down with the mumps and could not go to kindergarten that day. My jaw was sore and my cheeks were swollen and painful; I could barely open my mouth let alone smile. My parents had to go to work, my siblings were in school and the only thing to do was to be left for the morning at my grandmother’s house. I was very close to my Por-Por (maternal grandma) and her maid, whom I called Yee Por. Both were about the same age and they were like two grannies to me. Love them both to bits. My mother told me years later that the blue liquid was indigo, and it was believed to be effective in treating mumps, according to Traditional Chinese Medicine (now somewhat proven by recent research). 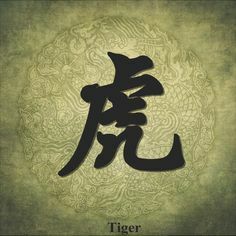 The word ‘虎’ (tiger) was significant, because it was believed that the symbolic tiger would eat away the affliction that was causing the mumps. Anyway, back to that morning in 1973. I soon realised that the blue liquid on my cheek, now dried up, had a very strong and unpleasant smell. Like the good girl I was, I tried to obey Por-Por and keep the indigo on as was her wish. But it soon became most unbearable, and I decided, quite out of character, to disobey. So while my grandmother was in the dining room towards the back of the house, I sneaked into the bathroom in the front just off the living room and washed off the indigo. As a five year old, that was messy business and I found my clothes rather wet as a result of all the splashing. Then I realised I could not seek out Grandma to fix my wet clothes as she would then discover my naughty deed. So I decided to hang around the living room and lurk about the garden for a suitable duration, after which I would figure out what to do next. That was when Yee Por, the servant, came out with a small bowl of mid-morning snack. Sitting at the coffee table in the living room, I tucked into this little bowl of what looked like (rice) porridge, but it was nothing I had tasted before. It was bouncy, chewy, with grains I had never encountered; darkly soy infused and rich and comforting in flavour. I enjoyed it so much, I ventured into the kitchen — hazarding being discovered by Grandmother — and asked for another bowl. For the risk I took, sadly Yee Por said there was no more, as she didn’t think I would have much appetite anyway with my painful jaw and all. Yee Por never made that dish ever again. And it has haunted my palate off and on all these years. As an adult, I tried to replicate it a few times, but never succeeded. The recipe remains elusive. The two old ladies have since gone and I did not have the foresight to ask them — but I was still a child when they bade their final goodbyes. Perhaps I will try to make it again one of these days. Or with a stroke of luck, I may chance upon the recipe some day, too. For sure, it is a traditional Chinese one, which was the only sort of food Yee Por would have made. As for my vanished indigo tigers, Grandma did see, but thankfully did not make a fuss. She fixed my wet clothes, and simply let me carry on. She didn’t try to put the tigers back on my cheeks. This is a wonderful story. Do you know where Yee Por was from? That would help you, because maybe that was a special dish from her area, something her mother had taught her. I think you must become “Sherlock Holmes.” Look at me, I found my recipe… it did take MANY years, but I found it. You will too! Hihi, yes I will try to research!. My guess is, it’ll mainly be via oral tradition, as they aren’t likely to be written down by the old villagers. And that is OK, but I bet it is a basic recipe that they make… worth trying to find out! Good to see you back. A beautiful story of childhood memories. Food and family tend to illicit fond memories. Hihi, nice to hear from you again! Thanks for popping by and reading. Indeed, they do!